Johnny Sexton suffered a nasty-looking facial injury during Ireland’s win against Scotland at Murrayfield today. 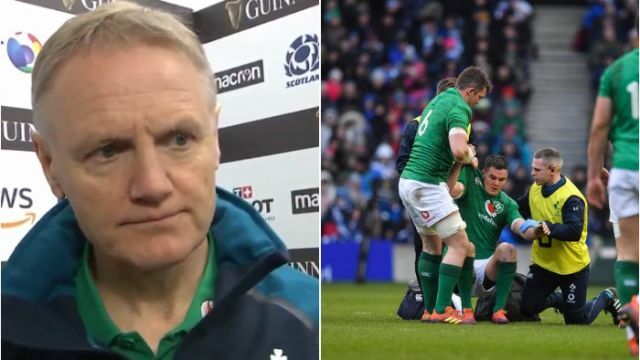 Speaking post-match, Ireland boss Schmidt said Sexton had failed his Head Injury Assessment after taking a blow in the build-up his side’s second try. The Ireland head coach said Sexton had been stamped on accidentally by one of his own players in the first half, while also taking a stamp to his ankle.